Here is a quick video that describes our Mobile First strategy. Everywhere you look , enterprises are redefining customer experiences and their businesses by making their core business processes available through Mobile Apps on any modern mobile device. 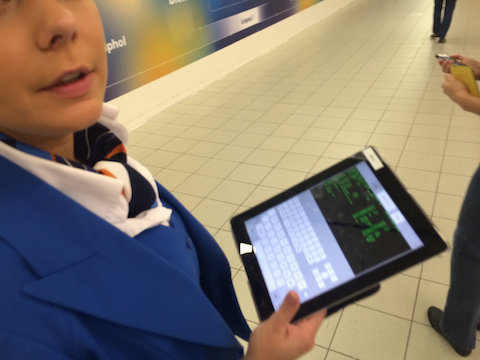 Here is a very interesting example: this morning I landed at the Airport in Amsterdam and I saw a lady from the ground crew of a major airline helping travellers holding an iPad. 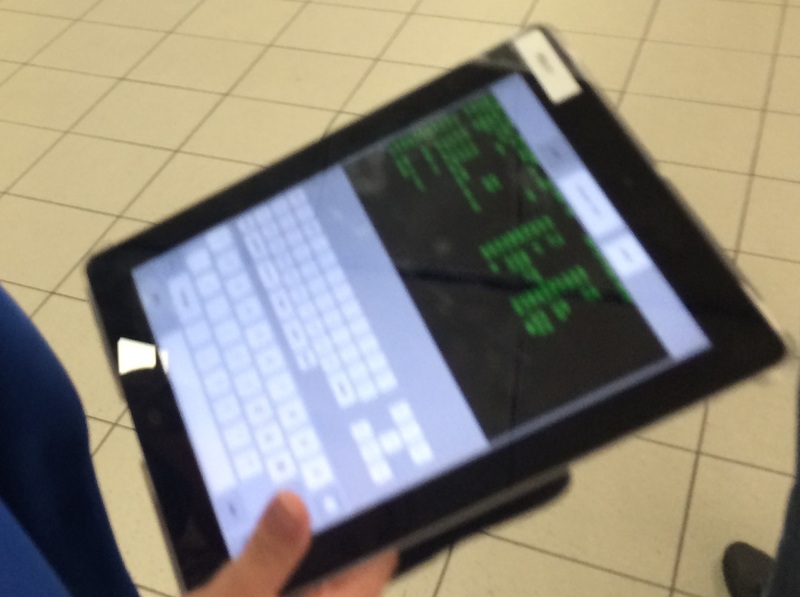 I got closer to figure out what application (business process) she was using and I took a picture. I was surprised and amused that she was actually using a green screen application probably from a mainframe. This is a both a good and bad example of mobile first. It is good because this company mobilized a core business process and is allowing their employees to help customers where and when they need it. Clearly not a great experience for the user, but it gets the job done. Unlike the old monolithic applications of the mainframe and the enterprise web era, well designed mobile applications are small and single purpose and therefore simpler. I agree. Not to be too arrogant but a better experience is a mobile, HTML5 and reliability-compliant we’re developing for a good customer of ours’. Here the old (awful) user interface is updated to a fresh looking, easy to use, UI based on tiles and enjoyable with a variety of devices, from smartphones, to iPad, to standard desktops. Everything may be done better, but I think our solution is a good application of mobility.